Feeling somewhat shamed by pod_aware and trying to get myself sorted out, so have two older ones I never posted here! They were both done for pod_together and posted under my regular journal name: jenepel. Summary: A birthday party, a blindfold, and a table full of desserts. Kris's wish fantasy is about to come true. 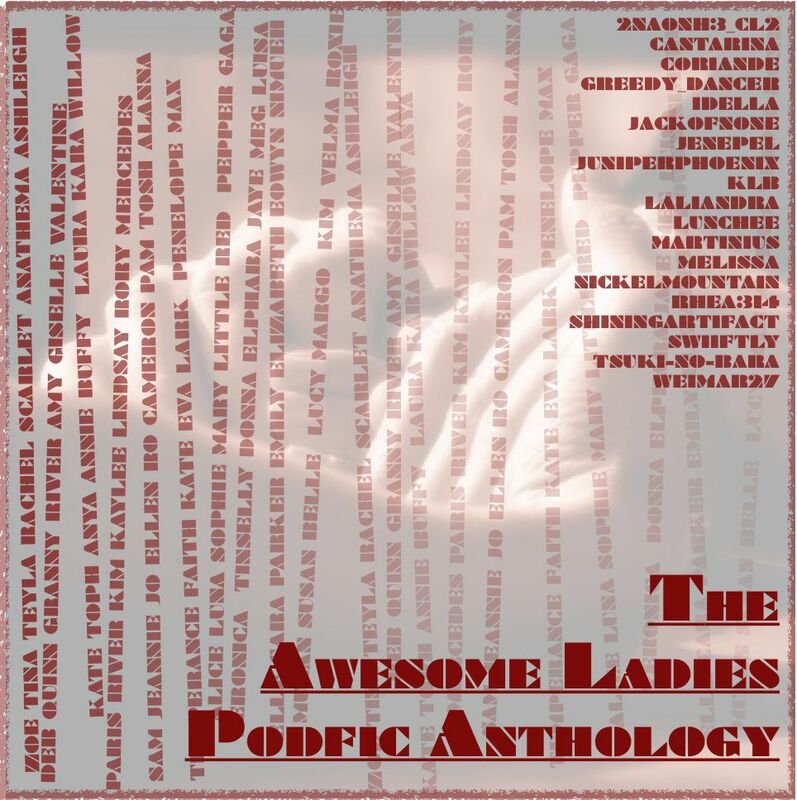 For halfamoon 2011, a bunch of readers collaborated to create a podfic anthology of ficlets from the Awesome Ladies Ficathon.